The 6-foot-2, 215-pound back selected Michigan over UCLA, USC, Washington and Wisconsin, among others. Michigan has landed its top running back target, four-star Zach Charbonnet, who announced his commitment on Twitter Sunday night. Charbonnet, who made an official visit to Michigan over the weekend, according to 247Sports, had offers from UCLA, USC, Washington and Wisconsin, among others. The 6-foot-2, 215-pound running back is from Oaks Christian School in Westlake Village, California. He totaled more than 2,000 yards in his junior season at the private school and is ranked as the 15th best at his position by 247Sports. 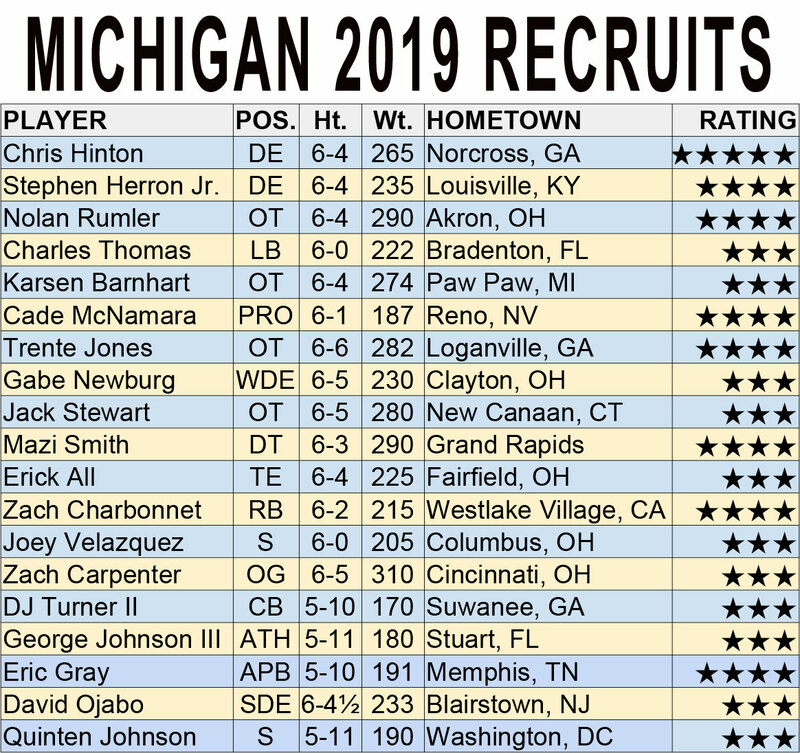 The Wolverines have 14 commitments for the 2019 class.